Aberdeen, Md. (Examiner) - Efforts to save a piece of Harford County’s railroad history got a shot in the arm this weekend with the news that CSX will donate land for the relocation and restoration of Aberdeen’s crumbling B&O train station. 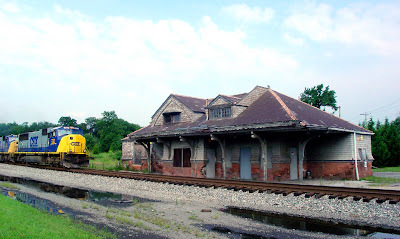 After stipulating that the Historical Society of Harford County could only restore the 122-year-old train station if it was moved from its current location close to working rail lines, CSX sent the society an e-mail this weekend telling it the company would donate an adjacent parcel of land. Continued.